A lean but powerful system designed to help you build and deploy fully scalable applications – quickly, easily, efficiently. 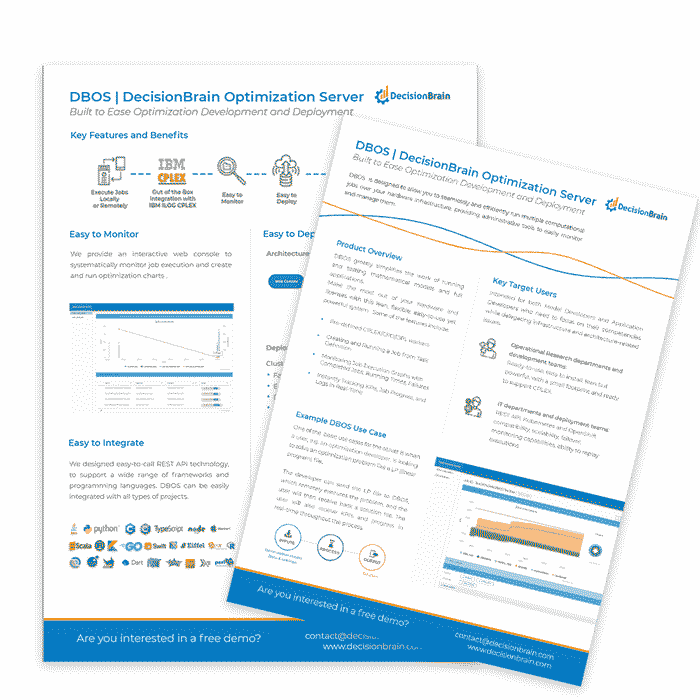 DBOS can seamlessly run multiple CPU intensive computational jobs locally or remotely and provides administrative tools to easily monitor and manage them. A fully compatible system that works with any client, it also provides out-of-the-box integration with the latest version of IBM ILOG CPLEX. It is ready-to-use to quickly run tests and receive immediate feedback, greatly simplifying the work of running and testing mathematical models. Intended to enable both Optimization Model Developers and Application Developers who need to focus on their competencies while delegating infrastructure and architecture-related issues. Drag-and-Drop: Allows for quick job creation, from task definition to model and parameter inputs. No code required. 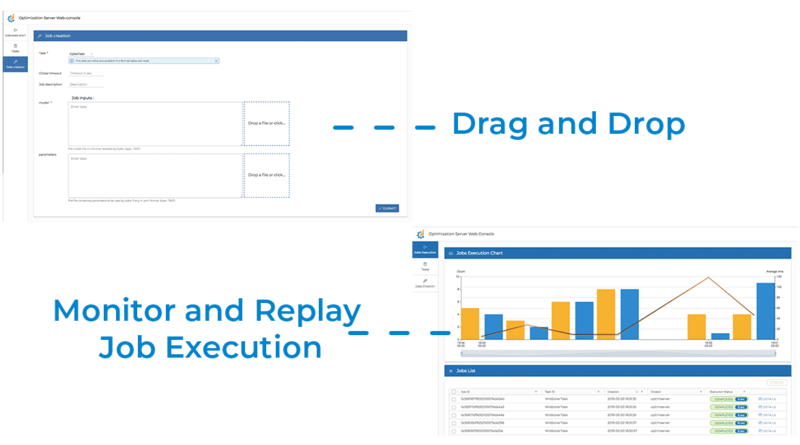 Monitor & Replay Job Execution: Immediately track KPIs, progresses, and logs in real-time. Download logs and retrieve input conditions. DBOS is based on a modular architecture where jobs from a client can be sent to one or more workers. It comes with embedded out-of-the-box CPLEX, CPO, and OPL workers, but users also have the flexibility to design their own custom workers. 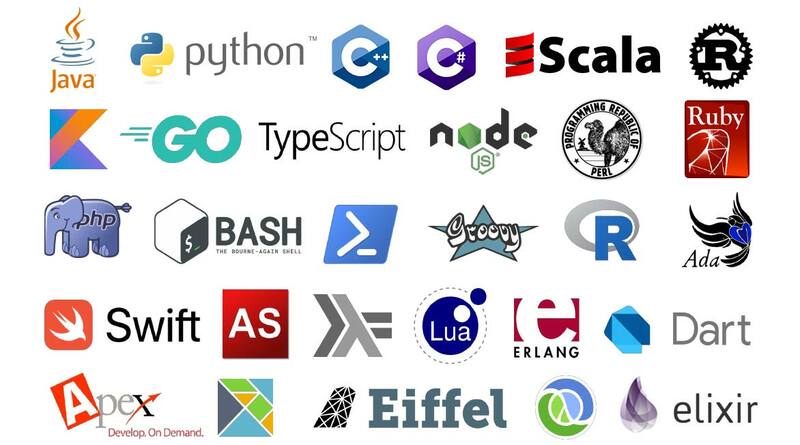 Support for customer workers in other programming languages (e.g. Python, C++) is provided. 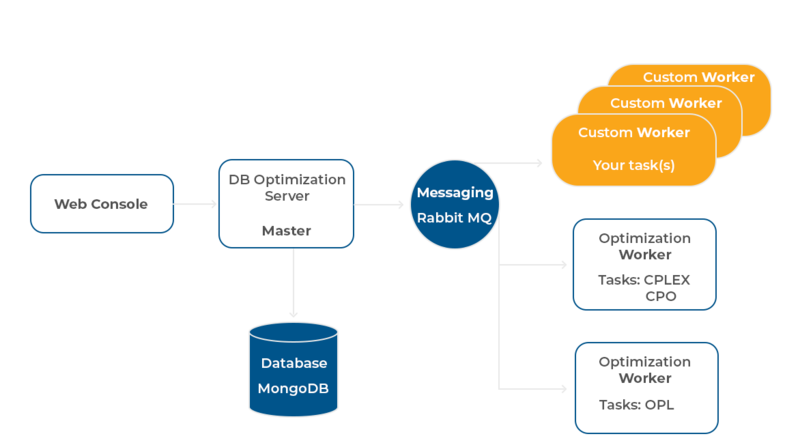 To make it easy for development teams to integrate existing applications with DBOS, we designed easy to call REST APIs and connectors for a wide range of programming languages. DBOS leverages state-of-the-art technologies. It easily supports many deployment options both locally and within Cloud infrastructures with full Kubernetes and OpenShift compatibilities and Docker Compose. For more details, check out our DBOS Product Data Sheet.